MotoPress is always looking to ease your WordPress experience and help you get maximum personalized content in the result. Code perfectionists, organic SEO creators, and multitasking support reps are MotoPress web joiners who love to challenge themselves and put into use what they learn from customers. Today they share the backbone reasons why MotoPress has already become a great help for a lot of WordPress users. Check whether this is something that can give you a leg up as well. 1. Focus on building a turnkey WordPress website. The MotoPress team works hard on creating an all-inclusive package of instruments for any WordPress website. MotoPress WordPress Page Builder and other MotoPress plugins, range of different addons will allow you to manually add functionality of different levels from basic texts, graphics, buttons to animated pricing tables, creative Google Maps Pro, multifunctional slider, countdown timer, simple contact form, unusual Image hotspot feature, e-shop and more useful features you might ever need to build an outstanding website. 2. Totally beginner-friendly tools. Yes, much more intuitive than default WordPress toolkit. All magic happens with a set of drag and drop intuitive tools making your customization process as easy as a play. Focusing on beginner, the products usually undergo the testing by both professionals and non-tech users to understand the vision and needs of the latter and combine them with the technical quality of the former. 3. Opportunities for developers. MotoPress values the work of developers and opens up more opportunities for them at affordable price. First up, Developer license allows to install the products on unlimited number of websites. And more, MotoPress made real a possibility to perform the entire rebranding of MotoPress plugins thanks to the White Label addon. Moreover, it makes possible to re-brand plugins even without coding using a user-friendly interface. 4. Well-documented products clear for users of any level. Each product is supplied with a step-by-step documentation to help you get started and proceed with customization effortlessly. 5. Free trials and demo versions will help you to play around with each feature online. You are absolutely free to try the plugins in action before making your decision. You can create your free trial website and test the plugins when needed. 6. Multisite compatibility to meet the expectations of anyone. It’s possible to use the same MotoPress product for more than one website. To fit your business project, you may choose among different licenses depending on the amount of websites you are going to use the products for. 7. Systematic ongoing updates and development. Bug fixes and constant improvements of the already existed products is simply a law. The MotoPress team updates and creates universal products that are currently in high demand on any website to meet the needs of fast-growing web world. Simultaneously, the team is developing new plugins for particular purposes (e.g. restaurant menu plugin) trying to serve more and more business niches. 8. Quality customer support knows how to simplify things for you. And reach the goals faster! The MotoPress customers have many ways to get in touch with fast-actioning support representatives: emails, tickets, comments, forum, social networks. Experienced support guys are doing their best to hear the voice of everyone. Each customer can have a hand in changing MotoPress products for the better. 9. GPL products that allow to modify the original code of software. Sticking to philosophy of open source movement, the MotoPress products are licensed under GNU GPL allowing to modify the core code and re-release the products as different ones. 10. And good bonuses. MotoPress cooperates with trending web design blogs and theme providers on a regular basis in order to share various discounts and promo codes as full or limited time offers. You may want to subscribe to the mailing list to get official news in time. The discovery process is never over. We are going to keep you in the loop and please with a lot of innovations that are currently in progress! Update: From 2017 you have a chance to use a special offer – get all MotoPress plugins and themes at one low price! More details on the Membership page. 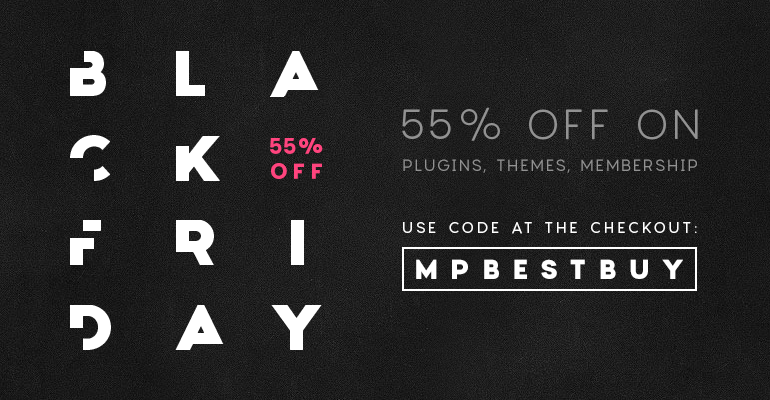 Birthday Discount on Any WordPress Plugin, Theme and even Membership: We Turn 4! Hot Summer Sale: 25% off on any WordPress Plugin or Theme!